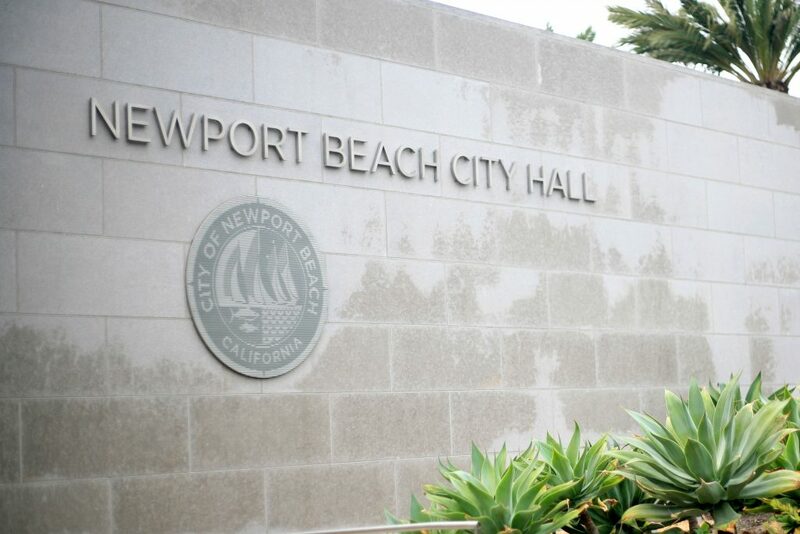 Newport Beach City Council this week unanimously approved the city’s $306.9 million budget for the upcoming fiscal year, which focuses on the harbor, paying down the city’s unfunded pension liability and infrastructure. A public hearing was conducted Tuesday on the proposed budget for fiscal year 2017-2018, which starts July 1. Council voted 7-0 in support. The operating portion of that amounts to $281.8 million, which represents a 13.2 percent decrease over the prior year’s revised budget. Tuesday was essentially the final review or “wrap up” of the budget, as council members and Finance Committee members have spent hours studying the document over the last few months, said City Manager Dave Kiff. It’s a lot of money and it’s important to fully understand, emphasized Councilman Will O’Neill, who also sits on the city’s Finance Committee. 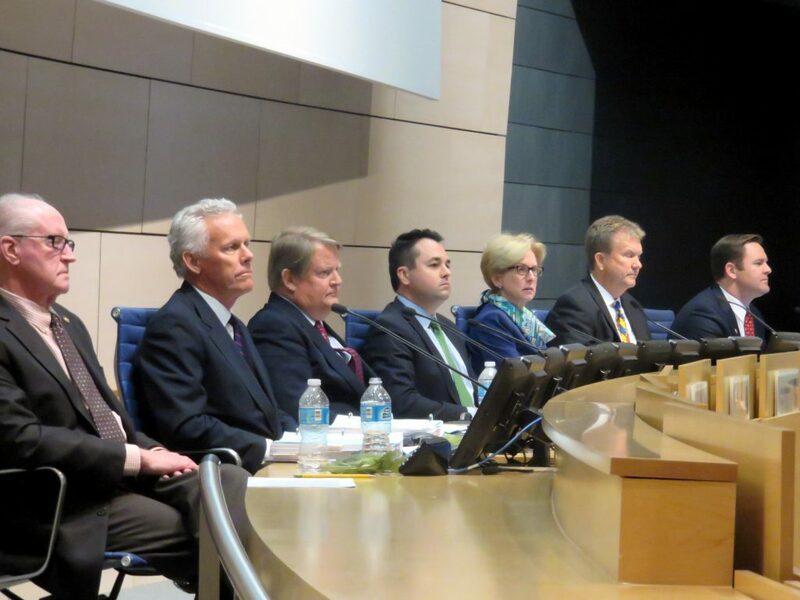 “I’m really proud to be up on this council as we’re about to pass this budget,” O’Neill said. Members of the Newport Beach City Council (left to right) Jeff Herdman, Brad Avery, Mayor Pro Tem Marshall “Duffy” Duffield, Mayor Kevin Muldoon, Diane Dixon, Scott Peotter, and Will O’Neill. Councilwoman Diane Dixon, chair of the committee, noted that the finance team unanimously approved the budget and CIP list on June 1. Committee members had a “rigorous debate” and a “robust dialog” about various aspects of the budget, she said. Funds for the projects seemed “appropriate, in terms of overall city expenditures,” Dixon reported. “I believe that the community can take great pride in this fiscally responsible, forward-looking budget,” Dixon said. The priorities set by council members and Mayor Kevin Muldoon are all included in the budget, including the pension pay down, O’Neill noted. The budget “themes” identified by city staff include consistent, affordable, forward looking, and fiscally responsible. The total approved CIP plan for fiscal year 2018 will end up at $60.9 million, Budget Manager Susan Giangrande confirmed. Approximately $6 million from the 2015-16 year end surplus will go toward harbor-related items, which is an “enormous investment,” O’Neill said. There has been a push on harbor issues that have been “bubbling up” and are now being addressed in the budget, he noted. 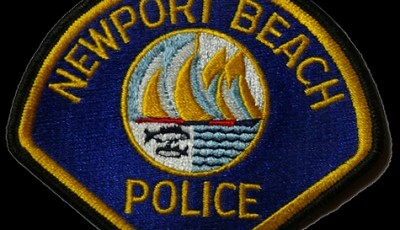 Newport Harbor was one of the main focuses of the 2017-18 city budget.. In total, more than $12 million will go toward harbor and beaches in Newport this year. 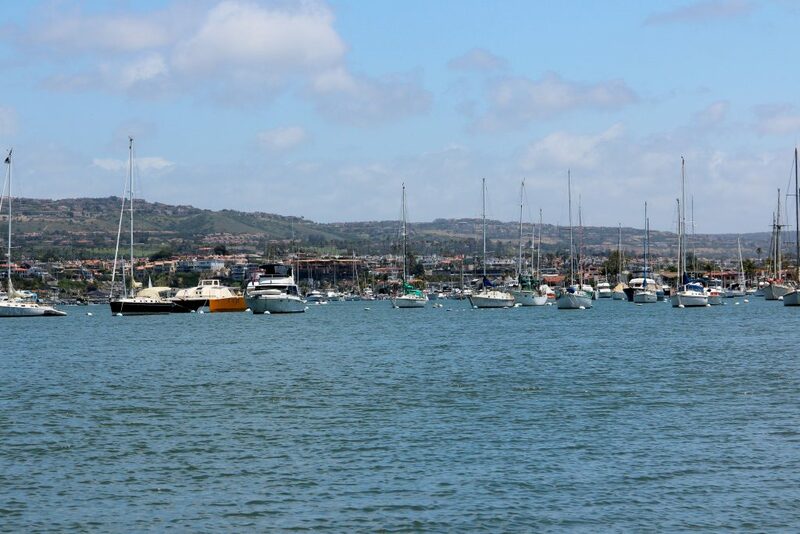 Harbor issues addressed in the budget include replacing and rehabilitating sea walls, mooring administration, dredging, pier maintenance, abandoned watercraft abatement, and more. 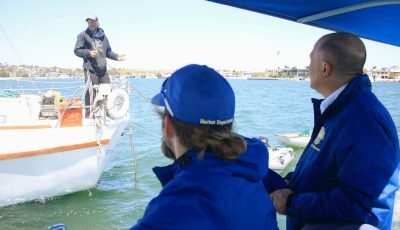 As the city takes over management of the moorings, the new harbor operations program basically moves some professional services contracts, like the Orange County Sheriff’s Department for mooring management, and reallocates the nearly $2.4 million existing proposed budget into two possible divisions: Harbor operations and harbor resources, Kiff explained. There is no net increase, he confirmed. The budget also includes a plan to make higher discretionary payments, starting with an additional $9.1 million payment in fiscal year 2017-2018, in order to eliminate the city’s unfunded pension liability and save the city $15 million over the entire 20 year period. The unfunded pension liability is not a pleasant issue to have, but the city has tackled it head-on, Muldoon said. “Newport Beach is setting a trend to aggressively pay down our unfunded pension liability and pick up the slack left by Sacramento,” Muldoon said. Other cities will likely follow suit and use the same model in anticipation of a “less rosy” prediction on the market on returns and contributions made, Muldoon said. The fire rings were also back as a topic within the budget discussion. 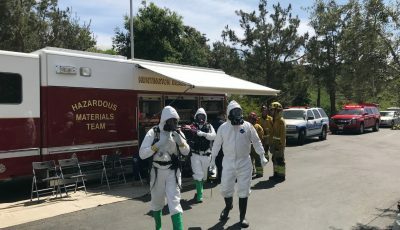 Under the police section in one of the changes to the budget introduced on Tuesday, staff listed “fire ring enforcement contract” for $180,000. Councilman Scott Peotter questioned what exactly that item referred to and why it was added onto the budget. 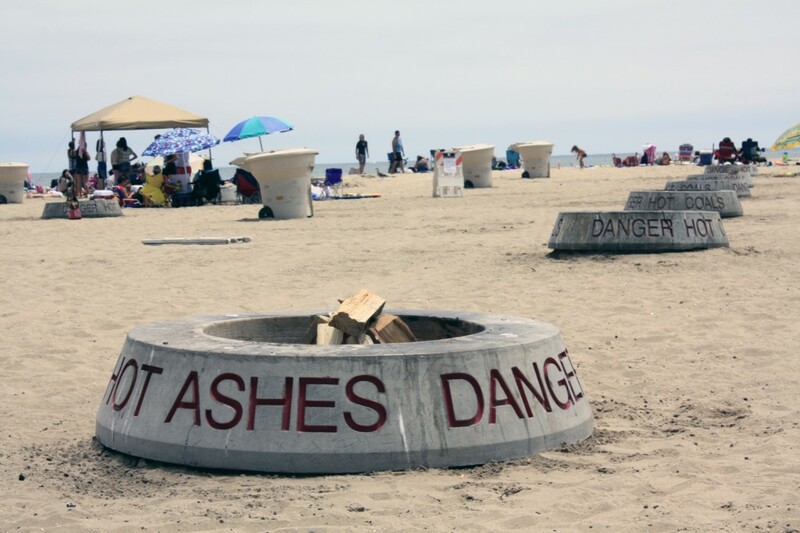 Kiff explained that he met with the South Coast Air Quality Management District recently and they requested the city consider returning to their previous enforcement style of the fire rings, which included some on-site supervision. “[We] haven’t decided if that’s going to happen or not, but I felt it was important to ask for the budget authorization to do that with a decision to come soon,” Kiff explained. It’s not necessarily locking the city into a certain path, but does allow the city to comply with the request, if they decide to do so, Peotter clarified. During public comment, resident Jim Mosher commented that there are a lot of open-ended items in the budget designated for general purposes, left up to the city staff for future use, some of it ear-tagged for potential litigation. There is a difference between setting aside money for future use and actually using that money responsibly, he added. 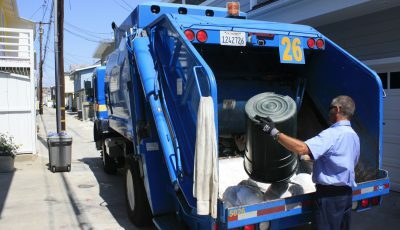 “Sometimes I wonder whether the city government is using its money wisely,” Mosher said.